Ever since we moved to the H Street Corridor, we have believed that the Corridor really needed a good bagel place. Finally our wish was granted. 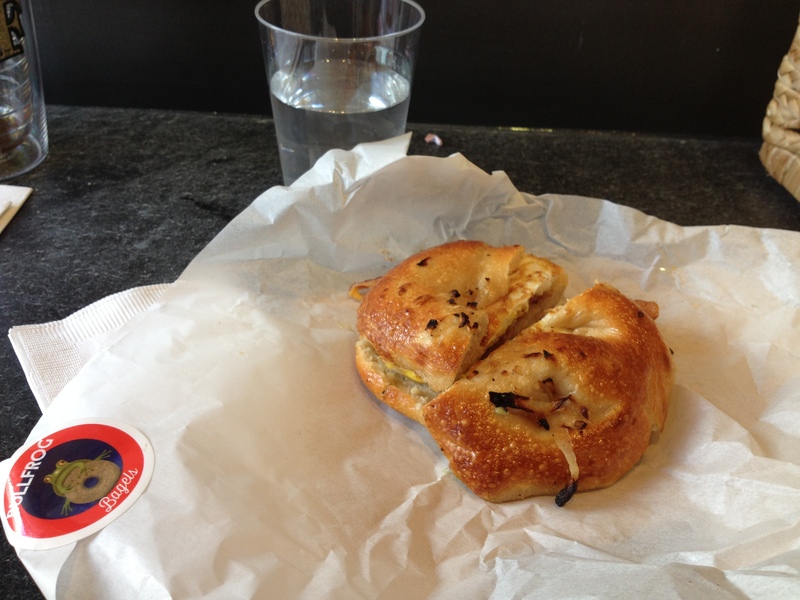 If you have not checked out Bullfrog Bagels (1341 H Street, NE), you need to as soon as possible. 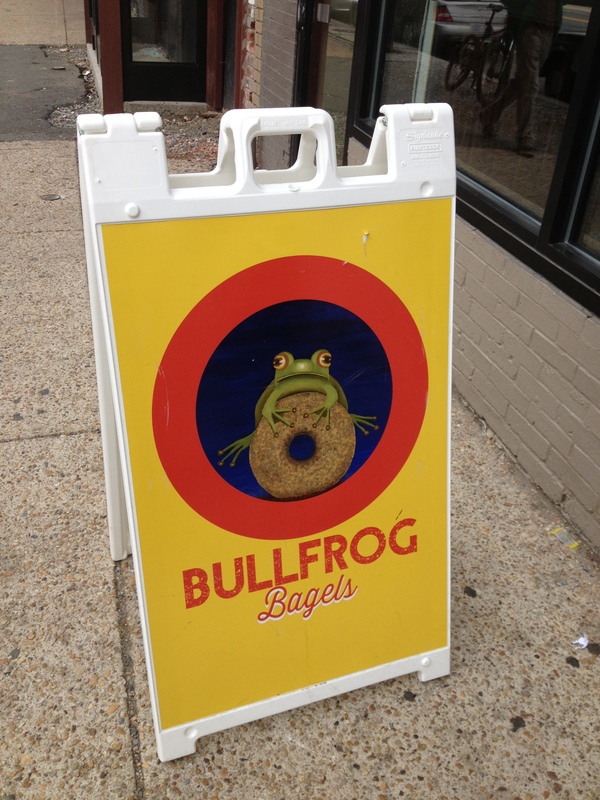 After being a pop-up bagel spot across the City for several months, Bullfrog now resides on H Street. Long time H Street restaurant and bar Star and Shamrock has reduced its footprint by about half and the other half of what used to be Star and Shamrock now houses Bullfrog (the entire space remains connected and shares kitchen space so you can easily grab a bagel at Bullfrog and go to the bar at Star and Shamrock without going outside). The bagels are very thin and light (as light as bagels can be). They continuously make the bagels while they are open, so they may be out of certain varieties while you are there. However, the bagels are the freshest you will find around D.C. and are usually hot out of the oven. They have the usual favorites like plain, onion, poppy seed, and everything. You can get your bagel plain or with butter, a variety of jams, regular cream cheese, or scallion and chive cream cheese. You can also get it with smoked salmon or make it a true breakfast sandwich with egg, bacon, cheese, avocado, or onion jam (see complete menu here). Our favorites thus far are the onion bagels with either scallion and chive cream cheese or done as a breakfast sandwich with bacon, egg, and cheese. The scallion and chive cream cheese is nice and light with a balance of scallion and chives. The bacon, egg, and cheese breakfast sandwich is not overly greasy as sometimes happens with breakfast sandwiches. When you walk in, you take a number and then wait to order. If you’re in a hurry, make sure to call ahead your order as it can get quite busy on the weekends! They are open everyday besides Monday from 7 am-11 am but will sometimes stay open later depending on demand.